"The expression of the Agrapart lands". 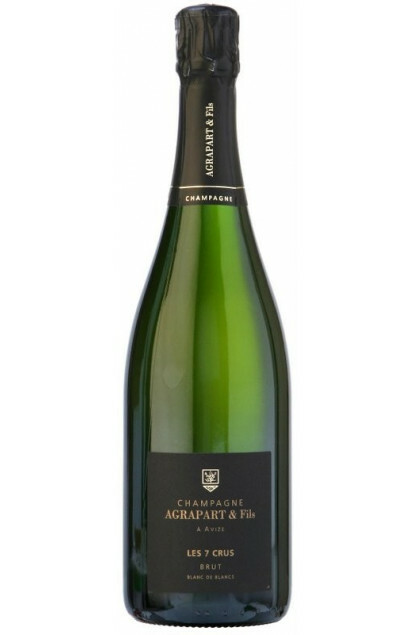 The Agrapart Brut Champagne is elaborated exclusively from the 7 Premiers Crus and Grands Crus belonging to the House in the towns of Avize, Oger, Oiry and Cramant, classified Grand Cru, and Avenay Val d’Or, Bergeres-les-Vertus and Mareuil, classified Premier Cru. A blend of Premier Crus and Grands Crus composed of 90% Chardonnay and 10% Pinot Noir. It also is a vintage from several years, composed in part of the year’s harvest, and from previous years, among which a part aged in demi-muids (a designation acquired before the French Revolution of 1789), that is to say in oak barrels of around 650 litres. The wine is aged on lees between 2 and 3 years, in bottles, and the shaking process is done by hand. Disgorging takes place 60 days before expedition and on every back label on the bottle is mentioned the date of bottling and disgorging.